Hi everyone! The weather is warm and Summer is almost here. That means it’s time for Summer School! Join Star Kids for our Summer School program from July 23rd until August 31st. It’s from 9:00-14:00 with extended care available until 18:00. 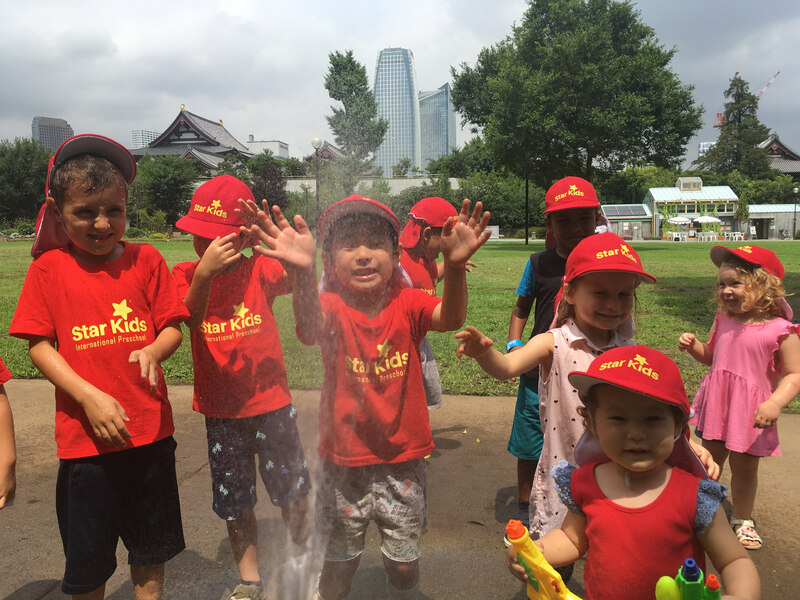 We’ve planned plenty of fun including water games at Shiba Park, colorful and creative crafts, imaginative activities, music and learning! Children who are not currently enrolled in our Preschool are welcome to join. This year’s themes include: Summer Flowers, Magical Mermaids, Surfin’ in Hawaii, Japanese Matsuri & Yukata, Tropical Birds and Juicy Fruits! Discount for multiple week signups. Discount for bringing a friend, too! Please note, Preschool is specifically for Preschool children ages 3-6. However, our Baby Steps and First Steps programs for ages 1-2 year olds are currently open for admissions, too.